Are you as sick as I am of hearing that we need to "participate and engage" in social media? I want to get some concrete tips and specific actions to take, not some feel-good social media theories. If you're an old school, press-the-flesh kind of guy or gal, you don't want to waste a lot of time with ten different social media platforms hoping for leads to land in your lap. You want to take some positive actions that you know will bring you new prospects. You need online tools that help to supplement your already successful relationship networking efforts. I like to steer relationship networkers towards LinkedIn because it's based on the professional relationships that they have been cultivating for years. The premise is simple. On LinkedIn, connect to the people that you know, and then ask them to introduce you to their connections as a way of getting an easy foot in the door with potential prospects. The trick is knowing who to ask your LinkedIn connections to introduce you to. I see a lot of people who will go to each of their connections' profile pages on LinkedIn to look through their list of connections and pick out the ones who are a good prospect. This is effective, but a big time waster. Instead, I use LinkedIn's search feature to quickly find just the prospects who are a good fit for me. In my example, I want introductions to local CPA firms here in Las Vegas. So I go to the LinkedIn home page and in the search box (upper right area of the page) I type "CPA" and click the magnifying glass button to run the search. This generates over 400,000 CPAs in the results. So next I use the filters in the left hand side of the page to narrow down my search results. The most important filter option to select is "2nd Connections" in the Relationship filter group. The 2nd tier connections are people who are directly connected to one of my direct connections on LinkedIn. A friend of a friend, so to speak. These 2nd tier connections are all people that one of my connections can introduce me to. This cuts my search results down to 1101 CPAs. Next I'll use some of the other filters to find the 2nd tier connection CPAs who are the best fit as a prospect. So I choose a physical location. I mentioned earlier that I want to find CPA firms in Las Vegas. Because Las Vegas is not one of the choices with a check box in the Locations filter, I'll manually type it into the Locations text field. I now have 180 CPAs in the search results. Since I want to find CPAs working in accounting firms, rather than CPAs in big companies like the Las Vegas gaming corporations, I check the box for "Accounting" in the Industries filter. That brings me down to 96 CPAs in the search results. For me to sell my consulting services to a CPA firm, I'm looking for firms with at least 10 employees, but I don't want to pitch very large companies. From the Company Size filter, I check both 11-50 and 51-200 employees. Now I see 30 CPAs in my search results. Finally, I use the Seniority Level filter to find only owners, directors, CxOs, and partners. That way I'll get the decision makers. In the search results, I see 15 very promising prospects who my LinkedIn connections can introduce me to! We have our short list of ideal prospects, so I look at the first one and see a link that says we have "9 shared connections". That means that I have nine different LinkedIn connections who I can ask to introduce me to this prospect. I click on this link and instantly see the first three of our shared connections. Below those, I click on the link "View all 9 shared" and a new browser tab opens that shows me a list of all nine of my connections who are also directly connected to this prospect. I can start reaching out to my connections and asking for introductions to this prospect. And I have 14 more CPA prospects to whom I will ask my connections to introduce me! About the Author: High Mobley is the founder of 13 Pages Internet Marketing, an online marketing firm and HubSpot partner that helps business owners increase their profitability. Are you looking for creative ways to use the iPad for business? Have you ever wanted to do more with your LinkedIn Connections? In this article, I'll share some ideas on how you can do both to help grow your network and strengthen relationships with your current customers. I had the opportunity to interview Tom Boudreau of R&R Insurance (a client of ours). Tom is a Commercial Insurance Account Executive who was looking to provide better resources for his current and prospective customers. Tom was kind enough to share his thoughts and process in how he's using his iPad and LinkedIn network to do a "52 in 52" video interview series featuring Wisconsin business professionals. Q: Tom, what is "52 in 52"? A: "52 in 52" is a video interview series where I'm interviewing 52 Wisconsin Business Professionals, with nothing but my iPad, over a time period of 52 weeks. I've wanted to do this "52 in 52" initiative for years, but it took time to build my network of Wisconsin experts. I am now in a position in my career to leverage the collective expertise of my network. They are a great group of people and I'm happy to be able to share their knowledge in a way that can help all of us grow our businesses. A: I sell business insurance like a lot of individuals. But my goal is not only to be the best at that, but to also help my clients build their businesses — whether it's insurance related or not. "52 in 52" is my attempt at putting the "social" back in my social networking. I really wanted to offer my clients and prospective clients something of value. I also wanted to do something with my LinkedIn Connections. In the past, I was simply accepting new connection requests on LinkedIn and then not doing much more with it. I wanted to reach out to my network and learn more about what their businesses do to see if they could help my clients. Ultimately, my goal of "52 in 52" is to share knowledge. Q: How has this worked for you? A: It's been great! I'm spending an hour with each individual for the interview - and prior to that we're communicating about what we'll be discussing in that interview and what we can provide the audience as a leave-behind. It's really strengthening my relationship with these individuals. This process is kind of a bonding process. I share with them the analytics and they feel that I'm truly trying to help them - and that's my goal. This has also resulted in new and additional business for me. I had a client that I was working with sign an 'Agency of Record' letter for additional services because he appreciated the fact that I was differentiating myself from other insurance agents and working hard to help my clients grow their businesses. I've also had several opportunities present themselves in ways that I didn't expect. Just by staying in front of my clients, I'm having them refer opportunities my way, as well as introduce me to other professionals that help me strengthen my business network. Even beyond the sales, this has helped build brand awareness for me in a way that doesn't come across as salesy. Q: How has this benefited your network? A: It's been very beneficial for them as well. As an example, the interview I posted a couple weeks ago resulted in business leads for the individual being interviewed. A couple hours after I sent out the email to my network letting them know that I posted the new video, three people reached out to me asking to have my guest speaker contact them about quoting some business. It really was a win, win, win for all of us involved. Q: From a production standpoint, how are you doing the video interviews? A: I'm using nothing but my iPad set up on a tripod. My father-in-law was kind enough to let me set up a little studio at their office (Circular Marketing in Waukesha, WI). I purchased a couple lights and printed up a sign, but the rest of it is just setting up the iPad and shooting the interview. I purchased the iMovie App for the iPad and do the editing right on my iPad. When completed, I upload the video to our YouTube Channel and then with your help (Stream Creative), we build out the blog post, create a landing page and upload the leave-behind piece. When those pieces are in place, I create an email in SubscriberMail and send that out to my network. From start to finish, including the interview, the entire process takes about 4 hours. Q: In closing, do you have anything else you'd like to share with readers? A: As a sales person we try very hard to get that initial meeting to learn what our prospects' businesses are all about and where R&R Insurance can help them. Through these "52 in 52" interviews, I can ask these same questions through a totally different process that doesn't feel like I'm selling to them - which I'm not selling - I'm trying to help them reach a new audience, and they get a better value out of that. If I had to do something different, it would be finding a way to shorten the final videos - but I just can't find a way to get them between three to five minutes without cutting out a lot of the content or sacrificing the personal element involved with these interviews. Overall, this has been a great experience! So how are you engaging with your LinkedIn Network? How are you using your iPad for business? Please share any of your ideas in the comment section below. Mary Planding, owner of Inbound Marketing Squad (@inboundsquad), told me today that she's attended 10 small business networking meetings in the last several weeks. She's sharing the concept of inbound networking with the people she meets. As a result of her conversations, she's refined her explanation of inbound networking: the why's and the how's. Similar to High Mobley's guest post last week, she's written an excellent article about why very small business owners (VSBO) should join an inbound networking group. "Most VSBOs rely on word-of-mouth referrals for the bulk of their business. They also admit those referrals aren't enough to grow their business to the level they want or need." "How can you leverage the power of a marketing agency's expertise to grow your business without going broke? How can you take advantage of the most cost-effective marketing strategies out there, without having to become a full-time marketing guru?" "When the power of inbound marketing is combined with the reach of business networking, you get — inbound networking." Instead of going for it all by yourself — imagine being an active member of a content rich website focused on the ideal buyer you're trying to reach. Imagine that the other chosen members of this content rich website have complimentary, non-competing businesses. Each of you regularly: contributes content to this website, shares one another's content with your social networks, and cross-promotes each other's products and services. I believe Mary has put together the best explanation and business case yet for inbound networking. Not to mention a cool graphic. (See above.) Go read the entire article. Also notice the call to action and the application form she created, so businesses can apply to be a member of one of her groups. Nice inbound marketing, Mary! I'm excited that the first 'inbound networking group' launched their website and has begun processing member applications. I asked High Mobley & Larry Holmes, founders of TheBusinessAdvisors.org to write up their thoughts on inbound networking and why they're starting their group. Their article is below. If you're an owner of a B2B company and want to use inbound networking to reach business owners and entrepreneurs near Las Vegas, Nevada, you can apply to join TheBusinessAdvisors.org. When Pete Caputa, Director of HubSpot's Agency Partnership Program, began writing about the concept of Inbound Networking recently, I got very excited. It's sort of a mashup of inbound marketing and referral networking, pioneered by HubSpot and Business Networking International (BNI), respectively. I got excited because I'm a fan of both. Inbound marketing is the most effective approach I've seen to online marketing, and I'm a big advocate of both the inbound marketing methodology and HubSpot's all-in-one marketing software. But inbound marketing is difficult for very small businesses (VSBs). To be successful with inbound marketing, very small businesses must invest significant time and/or money. 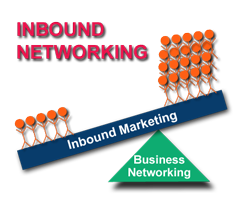 So, I'm excited to combine business networking with inbound marketing, so we can reduce the effort, while improving the lead generation results. We've started our Inbound Networking group and site at TheBusinessAdvisors.org. Our group will be made up of businesses who sell to other businesses, often referred to as B2B. We’re providing our members the ability to implement inbound marketing for their business with the guidance of an online marketing agency. By pooling resources, we can offer this at an affordable price and a much lower time commitment. Our members will work together to build a following of their target prospects: local business owners and executives. By working together, they'll build their following much larger and much faster than any one member could achieve alone. Why is Inbound Networking such a big deal? To see results from inbound marketing within a reasonable time frame, a business owner should write several blog posts per week, as well as launch and promote one or two landing page offers per month. That's an onerous pace for the typical small business owner, even if she has a small staff or other assistance. Plus, she would need to spend a lot of time over the first few months reading documentation, taking training classes, and consulting with experts to learn how to use inbound marketing software and tactics. You might suggest that a business owner should pay someone to help her or just do the work for her. Unfortunately, for an inbound marketing agency to provide these services to a company, they typically need to charge $2,000/month or more. There are more affordable options for content creation and graphics work, but then the business owner would need to proof and edit the blog articles herself and manage another contractor for the graphics work. Some agencies will start at lower fees, but spending less than 20 or so hours per month on inbound marketing delays traffic and lead growth. While many companies devote the time and money needed to achieve great inbound marketing success, many companies don't ever get started. Enter Inbound Networking for the win! So what's a small business owner to do if she wants to use inbound marketing but has neither the time nor the budget to do it effectively? Inbound Networking puts many of these small business owners together to create one web site where they can collectively publish lots of great content. For example, an Inbound Networking group of 20 members - who each write just one post per month - would publish five new articles a week to their group blog! That kind of frequency makes for a very strong site in the eyes of search engines. But, it's not just search engine rankings that benefit from the group collaboration of Inbound Networking. By promoting one another's blogs and landing pages, each member gets exposure to a much larger social media following than she could hope to accumulate alone. If each of these 20 group members has a social media following of just 250 people, then there are 5,000 potential customers on social media who could see the links to the blog posts and landing pages of all the group’s members! The reach of the group starts to grow even more rapidly once they begin employing opt-in email marketing and automated lead nurturing to further promote each other's content and offers. It comes down to this: A group of small companies with a common target market are far more effective together than they are individually. Inbound Networkers have access to more inbound marketing resources at a lower cost of both cash and time than any single member could manage by herself. Even more importantly, they can produce better results more quickly by working together. I've been speaking with many of HubSpot's top partners about joining my inbound networking group for inbound marketing agencies. As I've discussed it with more people, I've been refining how I explain it. I've also been searching for that big hairy audacious goal that gets me and my future members excited, committed and motivated. I want to create an alternative HubSpot universe. 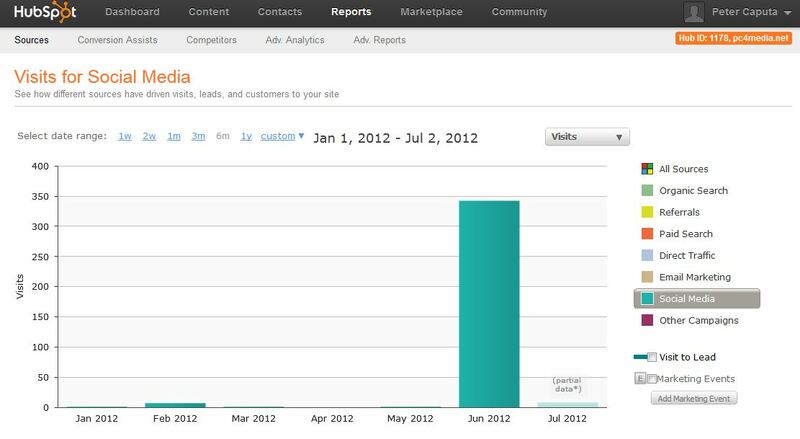 Currently, HubSpot generates 50,000 leads per month through HubSpot.com. I don't know the exact count, but there are 20+ marketers who pull this off. They are a highly coordinated, highly skilled, finely tuned marketing machine. Minus a few segments we can't serve effectively ourselves, all of those leads go to our direct sales team. HubSpot's direct sales team is also a finely tuned, highly skilled, highly disciplined sales machine. The alternative universe I want to create is a world where 100s of marketing agencies work together to generate 50k leads/month and the leads go directly to them. Right now, HubSpot's 20ish marketers create 50+ blog posts and 15+ ebooks and webinars per month. Imagine what several hundred marketing agencies could produce if they worked together to create and promote their content. The problem is that marketing agencies are doing this on their own sites and they don't have the authority, the following, the reputation that HubSpot has. Their content doesn't get as much of an audience. They don't have 100s of employees, 100s of partners and 100s of thousands of fans, blog and email subscribers who share their content. They don't have a huge machine built. There are 10s of thousands of small marketing agencies in the US alone. Many have taken to the web - trying to break through the clutter and noise - and establish themselves as thought leaders, above the competition. Very few do. Most struggle. Some even give up. But, what if a few 100 of them decided to leave the rest in the dust by working together? How successful can these few hundred be? Stay tuned: I'll be announcing the first few members soon. If you're interested and we haven't talked yet, leave a comment on this post. If you've reached out to me and we haven't spoken, I'm sorry. Please be persistent. I'm prioritizing my 1:1 conversations with top HubSpot partners first. All star inbound marketing agency, Adhere Creative, has a great post today about how 'content marketing' is the new SEO. I 100% agree that 'technical SEO' is all but irrelevant for everyone except high traffic sites and that most companies should just focus on creating lots of great content. Another steller inbound agency, Synecore, posted a great story about a company who built up traffic to 100k visits/month through content marketing and very little technical SEO. I'm seeing agency after agency and marketer after marketer embrace inbound marketing through content. Many are public about their successes. This is a marked difference with what I'm hearing from technical SEO experts. Technical SEO experts are very private about their successes and failures. But, if the recent horror stories I'm hearing from technical SEO experts keep at the current pace, we should all be ready to call it a game soon. Both of these articles talk about the importance of keyword research and some link building as part of the content marketing strategy, which are certainly 2 SEO strategies. But, while many SEO companies still put a large emphasis on all forms of link building, content marketers seem to universally suggest 'guest posting' as the best form of link building. Even though the old days are over, the new SEO landscape is still competitive. You need allies who will partner with you and endorse your brand through guest-posting opportunities, social media promotion, and co-branded marketing campaigns. Partner with like-minded companies with complementary products or services. You have a similar target market, why not work together to reach them? Sounds like inbound networking to me. Seeing all of these great marketing firms get it, makes me very excited about building an inbound networking group for inbound marketing agencies. In a blog post, Rich Mcelnany asked the question, "Does Inbound Marketing Mean I Can Give Up Those Chamber Meetings?" I 100% agree with his answer, "But I don't think I'd ever recommend foregoing those person-to-person connections at industry events and local networking meetings." I'd take it a step further and recommend that businesses learn how to mix their 1-on-1 networking activities with their online marketing, in order to achieve greater lead generation results. My target audience is not online. All of my customers hear about me from other customers. I prefer introductions from people who know me. I only want local customers. People who find me through my website never end up doing business with me. My next two questions are, "Do you get most of your business from referrals?" and "Do you get enough referrals, consistently enough, to get to your revenue goals?". The usual answer is "yes" and "no". So, we then introduce them to inbound marketing. Your best customer subscribes to your blog, leaves testimonials on blog posts and shares their comment on social media with the people who are connected with them. A person finds you from a google search, downloads your whitepaper and shares it with their boss, who happens to know you already from a previous employer. They hire you. You send an email to your list of trusted contacts and 20 of them decide to forward it to other people. 1 of the people who receives it eventually becomes a client. You blog about a local networking event and then share it with the people you met there, as well as the organizers. Some of them subscribe to your blog and the organizer invites you to join a private dinner with all of their event sponsors. You see a friend ask a question on Linkedin Answers and you leave a link to a relevant blog post written by someone who has helped you with the same problem. They hire that person and both thank you for making the connection. All of these things have happened to me or to someone else I know who has successfully combined inbound marketing with business networking. As a final thought, I'll share some data. As I shared in a post a few weeks ago, I had stopped blogging a few years ago. In the meanwhile, I've been very busy. We've signed up 900 marketing agencies as customers and partners of HubSpot. The only online activities I've been involved with personally are my twitter account and occasionally posting to the HubSpot Partners forum. When I relaunched my blog, I leveraged those two things to drive traffic. In the graph below, you can see the impact that social media can have when combined with a blog when combined with my real world connections. And I'm just getting [re]started. Once my inbound networking group for inbound marketing agencies is up and active, we'll be showing the power of real world networking combined with inbound marketing. How have you combined inbound marketing with business networking? I just published a post about the two different types of inbound networking groups. I am forming one that is like the second type: Businesses that sell the same thing, but don't really compete. I plan to launch a group that only inbound marketing agencies can join. The goal will be to create an international organization of inbound marketing agencies that work together to promote the concept of inbound marketing and inbound networking by helping each other generate more visibility for each other's content. As HubSpot has built the inbound marketing movement together with our agency partners, I've been amazed at how collaborative our partners have been; how willing they are to share advice; how often they share each other's content with their own audiences; how often they outsource business to each other. They occasionally compete to win clients, as many of them work beyond their geographic territory and have a fairly broad service offering. But, they still work closely together to help each other. For example, PR 20/20 wrote a book about how they built their agency. I just got a sneak peak of Kuno Creative's secrets to success, which they'll share at Inbound 2012. The agencies that help their peers, find that they gain much more when they give. I will personally lead this inbound networking group. There will be a small fee of $100/mo. I will use the fee to hire an editor, a chief content officer of sorts. The editor will coordinate the editorial calendar, manage submissions, edit articles and coordinate social media promotion of the content by the members. I will probably invite HubSpot's Gold and Silver partners as the first members. I will also invite anyone who gets an inbound networking group going and gets several members to join their group. Today, I held a session with 12 agency owners to discuss how they can form 'Inbound Networking' Groups. Everyone shared their background and what excites them about the Inbound Networking concept. I presented my ideas about how to make this a win-win-win for agencies, their clients and HubSpot. At the end, I asked "Who wanted to start a group?" 3 people raised their hand and committed. With 2 other leaders committed (who weren't on the call), that brings us to 5. I look forward to starting to flesh out the concept more with our 5 inaugural group leaders. I shared with the group that my goal is to launch 20 groups in the next 2 months. So, I'll be continuing the Friday sessions for those who are still interested. Leave a comment if you didn't receive an invite and are considering starting a group. What Should Be Included in an 'Inbound Networking' Group Membership? Many people are asking me, "What should members get?" and "What does the leader do?" Based on my experience helping businesses successfully grow traffic leads and sales through inbound marketing + my experience networking - online and off - here's what I suggest. A profile page on the group's site for each member. This page should include a "consult request" form or a similar bottom of the funnel offer. Ability to publish 1 blog post per month written by the small business. After 5 blog posts are written, a top of the funnel offer should be created, like an ebook. The ebook could contain content from the blog posts or other content written by the member. Promotion of their offers and blog posts via social media and email. Weekly training sessions - in person or virtually - so members can all learn inbound marketing, get to know each other, and can learn how they can best help each other attract traffic and leads. Planning editorial calendars for the blog and offers. Training the group on inbound marketing, networking and inbound networking. Presenting results to the group on a monthly basis. Creation of profile page for each member on the group's site. Light editing, approval, scheduling of blog posts to ensure quality content is published. Compilation of blog posts into ebooks for each member. Creation of weekly email to promote new blog and offer content published by the group. Should there be multiple levels of membership for Inbound Networking Groups? I think there is a tendency for agencies to make this more complicated than it should be. Based on our data at HubSpot, all of the activities above will be most likely to drive traffic, leads and sales. If businesses want faster or better results, they should simply increase the frequency of bloging, offer creation for lead generation, email marketing and ongoing improvement based on analytics. What we call: the four core services of inbound marketing. The pricing system that PR 20/20 and Kuno Creative have pioneered can probably be applied here; where the major difference in the packages are activity frequency. Group leaders could also just start with one level of membership and charge for more help. When starting a new group, I'd recommend keeping it simple. There's plenty of time to make pricing more complicated. I don't want to set membership fees for group leaders. Eventually, I think some leaders will be able to charge significantly more if they build a large audience, or if they reach a difficult-to-reach-market, or if they are really great at leading groups. In the beginning, I'd like to see 100s of groups form who keep their membership fee low. I'd like to see something in the $100/mo range. That will provide a low entry fee for businesses and enough of a fee to justify the work required by the leader. How should leaders sell this? I'd still recommend the same process that agencies should use to sell retainers. Very few of these small busineses have set proper sales and marketing goals or understand how inbound marketing can help them achieve those goals, and how to network effectively. So, education is required. Prospective members also need to understand that they are committing to creating content, helping their fellow members, and actively participating in training and group meetings. If leaders want a lower touch way to pull this off, HubSpot partners could register prospective inbound networking group members as leads and then invite them to our group education process for small businesses. What am I missing? What else needs to be in place to make this successful?